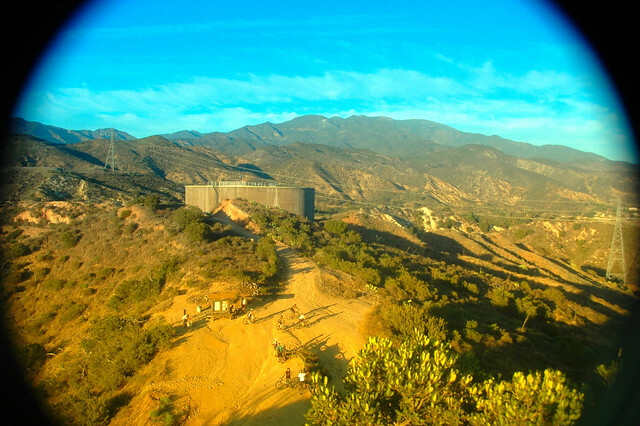 Chris Burden’s arrangement is considered to be the masterpiece of the LACMA collection. You don’t need a ticket to see it: it stands just outside the Rodin sculpture garden. 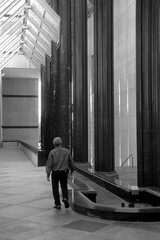 My flickr followers like this black and white atmosphere piece of a man walking to pretty much nowhere in the LACMA complex. 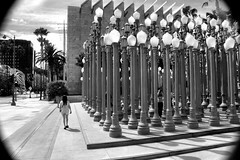 Posted in LACMA, Nikon D70 Tagged architecture, black and white, California, digital, man, people, summer, walker. 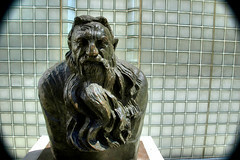 Rodin’s student Emile-Antoine Boudelle gave us this rare glimpse of the creator of The Thinker and the Lovers. I love his wild and stormy beard. 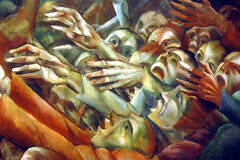 LACMA isn’t the Louve, but it does have some stunning paintings such as “The Orator” by Magnus Zeller, a particularly vivid piece illustrating the period before Hitler’s rise to power. I tried to curse this view of the roof at the Los Angeles County Museum of Art as a personal favorite, but it did not work. 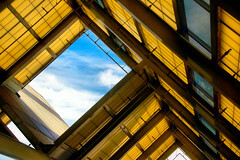 Posted in LACMA, Nikon D70 Tagged abstract, architecture, art museum, California, color, digital, museum, roof. This is between the stalls at the Farmer’s Market. 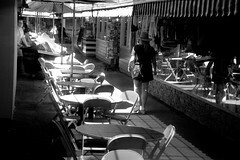 Posted in Farmer's Market, Nikon D70 Tagged black and white, California, digital, man, market, people, woman. 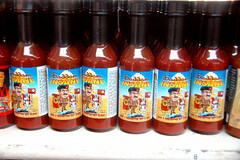 There’s a store at the Farmer’s Market that sells only hot sauce. This is an example that I dared not try. 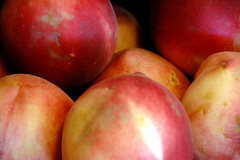 A visit to Farmer’s Market is always good for the food. The number of stands run by actual farmers or featuring crops has been severely reduced over the years, however. 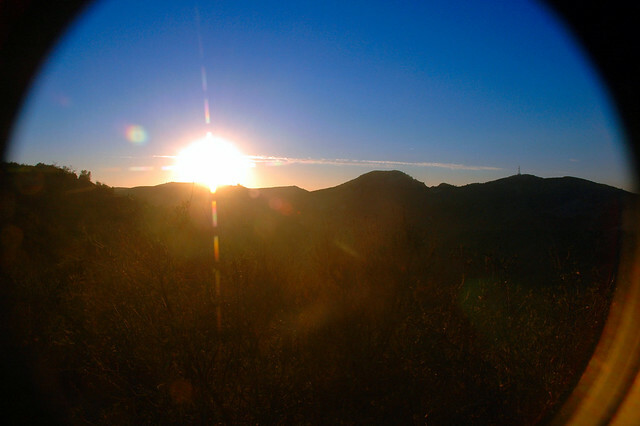 I used a star filter to capture this shot and silhouette of the foothills in Whiting Ranch.